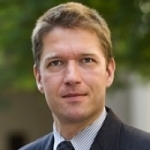 Markus Haacker is a growth and development economist based in London. From 1999�2008, he worked at the International Monetary Fund, mainly at the African Department. Since 2008, he has been an Honorary Lecturer at the London School of Hygiene and Tropical Medicine, and as a consultant to the World Bank. His work on the macroeconomic aspects of information and communication technologies includes contributions to the International Monetary Fund�s World Economic Outlook and the Global Information Technology Report published by the World Economic Forum.